How To Obey God And Win Back Your Cheating Husband. Hi, it’s always a pleasure to share insights in the Spirit of prayer towards the desired change of your husband and full restoration of your marriage. 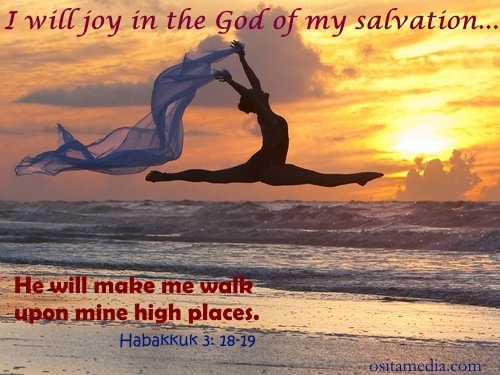 Before we start, I wish to honor our great God for His great answers to many of our prayers for you this last April. Some really confusing and desperate situations were miraculously smoothed, and quite a number of families are back together again, happily. Even a divorce proceeding that reached the final hearing was withdrawn by the husband himself, to reconcile with his praying wife! Some of you are good christian wives, praying and faithful, but, regrettably, insensitive (or reluctant) to the first requirements of your own prayers. So it is not so much about your prayer life or faith, but in resistance to personal changes in answer to prayers. This is usually the first answer to prayers you receive, but when denied, it works against performance of the rest of the prayers. By the time we are done here, you should know if there's need for you to adjust. We shall get to it soon. Once you check within you and get rid of this very attitude (if it’s there), believe me it is very simple to do, the rest of the answers become easy. 1. Quick, Huge, Positive Changes In Your Cheating Husband. This is the natural desire or expectation of every wife who comes over to Help Me In Prayer! for the first time. •complete openness and involvement of the wife in his affairs... and so on. We all look forward, and celebrate, the quick change when it happens. The fact, from my experience, is that these fantastic changes are rather few and in between. 2. Little By Little Changes In Your Husband Over A Period. 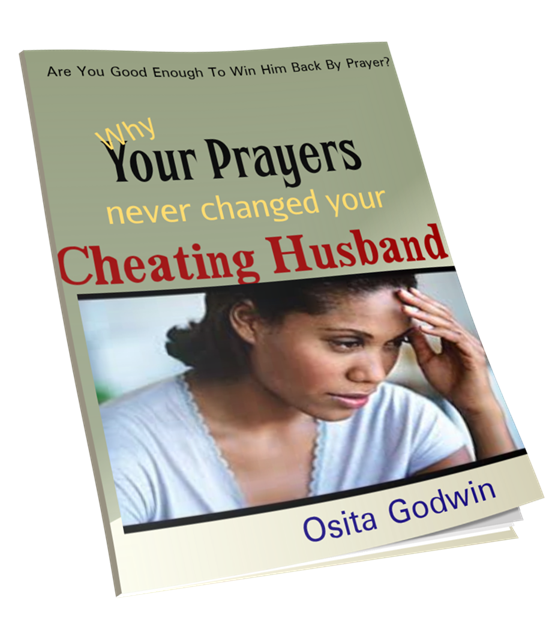 By far, this is the commonest experience in praying for the cheating husband. I would like to add that it is also the real building block of a permanent positive change. Yes, this is where you notice your husband changing slowly somehow but not enough to be trusted or make you comfortable. If you were to arrange this change, you would get him to change differently... faster! But you need patience to allow God complete His work in him, even as you continue to pray. However, he’s still keeping his phone away, or doing some other curious things that give him away on the other woman. He may be lying about a whole lot of things too. Perhaps you’ve been through something like 'managed change' with him before and it turned out a disappointment and heartbreak later. You don't want to be deceived again. Oh! How you wish the changes could be much quicker. You are eager to get him do more but he’s not shifting. You start to get desperate…then frustrated. You even fear he may even fall back to previous level. Sometimes, you feel the prayer and the counsel are not working! My word for you at this level is this: if this 'little' change is as a result of our prayers, then the hardest job out of the hold of immorality is done. By that initial change, you have received a validation of the Hand of God to help your marriage. The rest of his change could happen in one more leap, though it may still take a while, but it is bound to happen. Did I just say it is bound to happen? That statement was misunderstood by a few women in the past, and they relaxed, expecting a fulfillment which didn’t come for soooo long. So, I will rephrase it. It is bound to happen if you keep at the prayers that brought the changes. But I would advise praying a little more of the prayers for a quicker arrival. Do you understand it now? 3. No Positive Change In Your Husband…He’s Even Worse. This is another level we sometimes observe when we pray for the cheating and lying husband. •	shamelessly posting and showing their faces on the social media. May I tell you this? The only person worth hearing in this matter is God Himself. What does He say? Permit me to say this: all other contrary suggestions are traps. •	things are changing but have not yet manifested in the physical. •	The second answer may be that the prayers are not appropriate for the situation we are praying for. Back to the question: do we have enough truthful information to obtain correct prayer points? The third reason, which is also the 4th situation in prayer fulfillment, is that things are really changing, and changing big, but you don’t see them because you are not looking in that direction. There is what you need to see before you get the rest. This is what I will help you see here; it is the most critical link for your desires to happen for your husband and marriage. What you don't see, notice or accept may be the barrier on your way to prayer success. This is the peak of today's discussion but we don't have room to complete it now. This important discussion will be continued in the next edition. This free eBook is blessing lives and inspiring many to stand in their God-given places for restoration. Have you taken your copy yet? If you have downloaded the ‘Deliverance Prayers That Win Back The Cheating Husband’ because the two books are meant to work better together. So, send your request to this email: prayerebook@cheatinghusbandsecrets.com and I will send you a link for this other free download. God will give you an answer of peace in your marriage in Jesus name! Here's our Facebook Page! Like it!. Due to the review of Membership of Help Me In Prayer! some names have been dropped. Please, keep your membership alive by communicating your prayer updates regularly. Our upcoming eBook, 'Oh, God! Save My Children From Their Father's Blood' is delayed because I have not obtained the release instructions yet. I'm still praying on it. I believe I will pray through soon; and you'll be able to order your copy. It's a deliverance book for every parent, to release their child from generational curse of adultery, immorality, cheating, divorce, drugs and crime from their lineage. Many of you already had good reports from some of those prayers I sent you. You will need that eBook if your husband, or the father of your child, is challenged by immorality, divorce, drugs or criminal behavior.